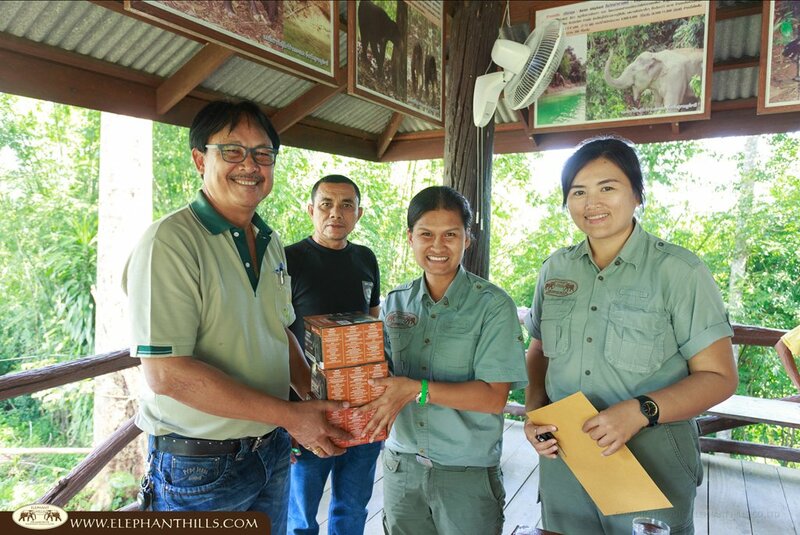 Elephant Hills donates 3 Camera Traps to the Khlong Saeng Wildlife Sanctuary! Being situated in Khao Sok National Park, one of the world’s oldest rainforests, our area is full of amazing and rare wildlife. Hence, as some of you already know, we have started a camera trap project for over 5 years now to monitor the animals in our beloved jungle. The well-placed motion-triggered cameras are hidden deep in the jungle and as nature enthusiasts we get very excited to take them off and evaluate the footage regularly every month. Amongst other parameters we take note of the animal treks and their migration, reproduction chances and eating habits, so that we can understand better what is going on in our beautiful rainforest. 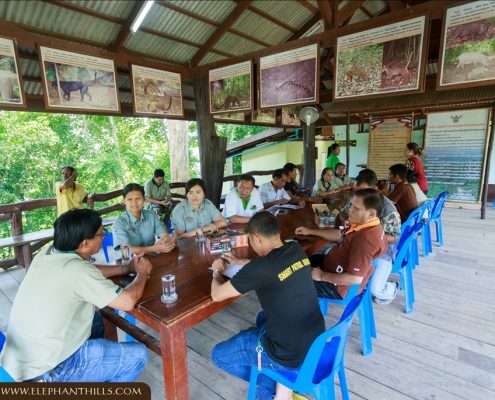 We operate closely with the National Park and Wildlife Sanctuary authorities and we are very proud of this fruitful cooperation with the rangers. 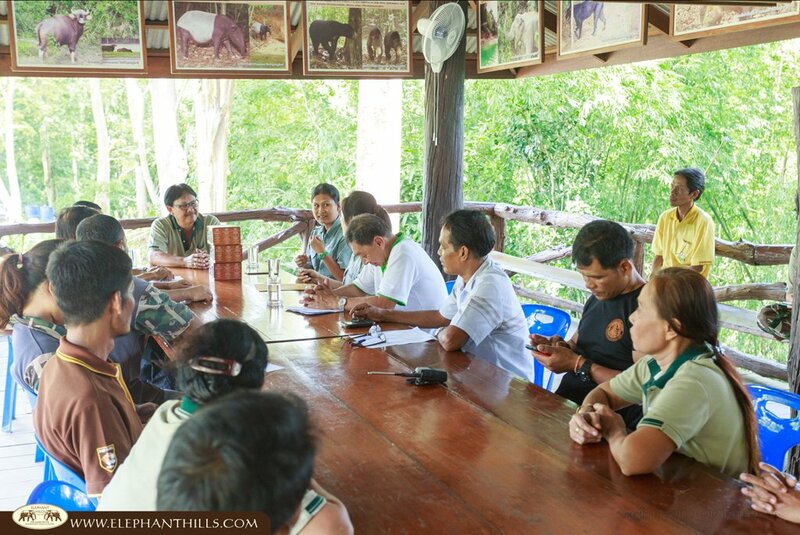 The interest in the camera project is growing and we were asked to help with camera traps for the Khlong Saeng Wildlife Sanctuary, which is next to Khao Sok Nationalpark. 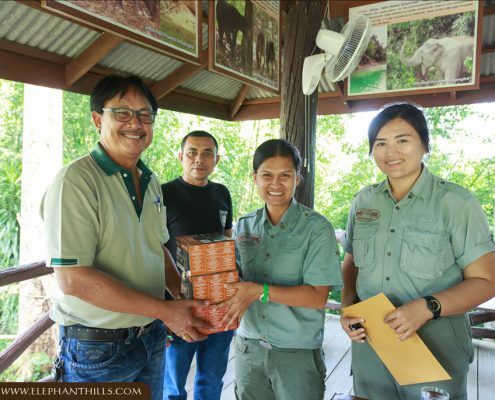 We are so happy to see the word spreading about our efforts and enthusiasm for wildlife, so of course we sponsored 3 camera traps for them! 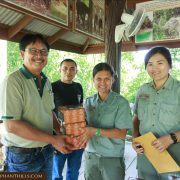 Our staff was very happy to drive out and meet the rangers in person to give them the camera trap presents! 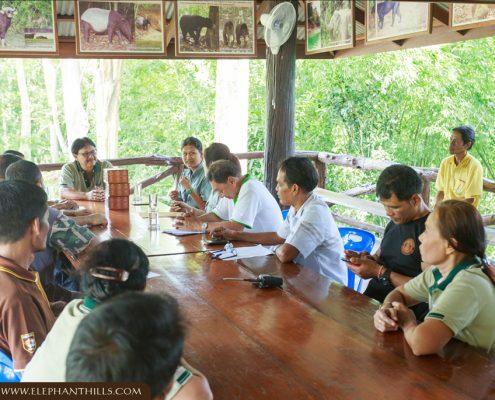 Now we can’t wait for the results, since before we could already find a lot of threatened and even as endangered classified species like wild Asian Elephants, Malayan Sun Bears, Gaurs, Asiatic Black Bears, Clouded Leopards, Malayan Tapirs or Asian Golden Cats. 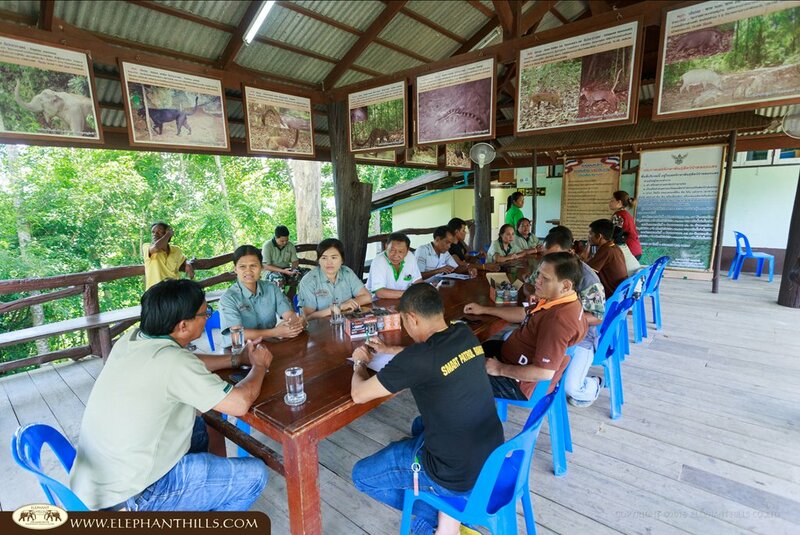 We hope for the future, that the interest and knowledge about how precious this area and its wildlife is spreads further and we will continue to work together closely with the local rangers.